NO PURCHASE OR DONATION NECESSARY. A PURCHASE OR DONATION WILL NOT INCREASE YOUR CHANCES OF WINNING. THIS SWEEPSTAKES IS VOID WHERE PROHIBITED BY LAW. Sponsor. D.A.R.E. America Inc., P. O. Box 512090, Los Angeles, CA 90051 (“Sponsor”). Donations received from this Sweepstakes will help fund programs that give children the much needed skills and knowledge to avoid involvement in drugs, gangs, and violence. Entry Period. The D.A.R.E. America August 20, 2018 – December 6, 2018 Sweepstakes #15 (“Sweepstakes”) begins Auugust 20, 2018 at 9:00am PDT (“Start Date”) and ends December 6, 2018 at 5:00 PDT (“Sweepstakes Period”). Eligibility. Open to individual legal residents of the 50 United States and the District of Columbia who are at least 18 years old and have reached the age of majority in the individual’s state of residence as of the Start Date. Sponsor and any other party associated with the development and execution of this Sweepstakes, and their respective employees, officers, and directors (and their immediate families and members of the same household) are not eligible to enter. How to Enter. The Sweepstakes consists of a Scratch Card Promotion and a Grand Prize Draw, as further described below. Scratch Card Promotion. Individuals can automatically receive one (1) scratch card per $10.00 donation to D.A.R.E. America made at any authorized location within the State of California (each an “Authorized Location”) where the Sweepstakes is being promoted during the Sweepstakes Period. A list of the Authorized Locations is available at the D.A.R.E. America, https://www.dare.org (the “Website”). All donations are non-refundable. To receive one (1) scratch card without making a donation, mail a self-addressed, stamped No. 10 envelope (4 1/8” x 9 1/2”) and a handwritten letter on an 8 ½” x 11’’ sheet of paper requesting a free scratch card, which must be postmarked no later than November 6, 2018, and received no later than November 16, 2018, and include your full name and postal address, which must be within the State of California, and send the request to D.A.R.E. America Inc. (Sweepstakes #15) at P. O. Box 512090, Los Angeles, CA 90051 (Mail-In Scratch Card Request). Any request for a scratch card to be mailed outside the State of California will not be acknowledged. Each Mail-in Scratch Card Request must be mailed in separately. To reveal whether an instant-win prize (each an “Instant Win Prize”) has been won, you must scratch the foil off the scratch card. If your scratch card reveals that you have won an Instant Win Prize, you must write your name, address, phone number, and email address on the back of the scratch card and mail the original scratch card, postmarked no later than December 7, 2018, and received by 5pm PDT on December 14, 2018 to: D.A.R.E. America Inc. (Sweepstakes #15), P.O. Box 512090, Los Angeles, CA 90051. You must retain a photocopy of your winning scratch card as proof of your win. Failure to have a copy available for Instant Win Prize verification may result, in Sponsor’s sole discretion, in the invalidation of your winning scratch cards, and forfeiture of any right to a prize. Sponsor recommends that entrants use registered mail to send in any winning scratch cards; however this is not a condition of entry and the cost to do so is solely at the discretion of the entrant. Subject to availability of scratch cards, individuals can receive up to 40,000 scratch cards, which is the total number of scratch cards printed for the Sweepstakes. Information collected as part of this Scratch Card Promotion will only be used to communicate with entrants about the Sweepstakes or Sponsor’s charitable activities. Grand Prize Draw. In order to enter the Grand Prize Draw, you must obtain a scratch card using any of the methods described in section 4a of these Official Rules, and then submit the unique scratch card code number in one of the following ways: (1) No later than 5pm PDT December 7, 2018, visit the D.A.R.E. America website, https://www.dare.org, locate the Sweepstakes entry form icon, complete the form, including entering your personal information and unique scratch card number, and submit the form; or (2) write your name, address, phone number, and email address on the back of any scratch card, and mail it to D.A.R.E. America Inc. (Sweepstakes #15), P. O. Box 512090, Los Angeles, CA 90051. All scratch card entries submitted by mail must be postmarked no later than December 7, 2018, and received by 5pm PDT on December 14, 2018. Subject to availability of scratch cards, individuals can enter the Sweepstakes up to 40,000 times, which is the total number of scratch cards printed for the Sweepstakes. You must retain a photocopy of any submitted scratch card as proof of your grand prize entry. Sweepstakes entries will not be acknowledged. Information collected as part of the Grand Prize Draw will only be used to communicate with entrants about the Sweepstakes or Sponsor’s charitable activities. Selection of Grand Prize Draw Winners. All entries into the Grand Prize Draw that meet the eligibility requirements set forth in these Official Rules will be considered “Eligible Entries.” One (1) entrant will be selected from all Eligible Entries received in a random drawing (“Drawing”) as the 1st Potential Grand Prize Winner, and one (1) entrant will be selected from all Eligible Entries received as the 2nd Potential Grand Prize Winners (each, a “Potential Grand Prize Winner”). The Drawing will be conducted by Sponsor on December 20, 2018. Each Potential Grand Prize Winner will be notified by telephone or email on or about three (3) business days after the date of the Drawing. Subject to verification of eligibility and compliance with the terms of these Official Rules, the Potential Grand Prize Winners will be declared the 1st Grand Prize Winner and 2nd Grand Prize Winner, respectively. Scratch Card Promotion. All Instant Win Prizes will be awarded by a non-transferable check in the name of the respective winner. Instant Win Prize checks will be sent to Instant Win Prize winners approximately four (4) weeks following the date that Sponsor receives the winning scratch card in the mail. Taxes and fees, if any, are the sole responsibility of the Winner; taxes may be withheld by Sponsor if required by law. Verification of Winner and Delivery of Prize. Each winner of an Instant Win Prize and or a Grand Prize may be required to sign an affidavit of eligibility and liability release and, where permitted, a publicity release. Each Grand Prize may be awarded to an alternate winner selected by random drawing if the Potential Grand Prize Winner cannot be reached within two (2) days after Sponsor contacts the Potential Grand Prize Winner by telephone or email, or if the Prize is returned as undeliverable, or Potential Grand Prize Winner cannot be reached by telephone or email, or if the affidavit/release is not returned within three (3) business days after it is sent to the Potential Grand Prize Winner. If the Prize is won by a minor, it may be awarded in the name of a parent or legal guardian in Sponsor’s sole discretion. All entries are subject to verification at any time. Sponsor reserves the right, in its sole and absolute discretion, to require proof of identity and/or eligibility in a form acceptable to Sponsor to participate in this Sweepstakes. In the event of a dispute as to the identity or eligibility of any potential winner based on an email address, the entry will be deemed to have been submitted by the authorized account holder of the email address submitted at the time of entry. The authorized account holder of an email address is defined as the person who is assigned an email address by an internet provider, online service provider, or other organization (e.g. business, educational institute, etc.) that is responsible for assigning email addresses for the domain associated with the submitted email address. Failure to provide such proof in a timely manner may result in disqualification. Potential Winners may be required to provide proof in a form acceptable to Sponsor that he/she is the authorized account holder of the email address or phone number associated with an entry. Entry Disqualification. Sponsor reserves the right, at its sole discretion, to disqualify anyone from this Sweepstakes or any other promotion conducted now or in the future by Sponsor if he/she tampers with the entry process or if his/her misconduct affects the integrity of the Sweepstakes or if he/she fails to abide by these Sweepstakes rules. Sponsor is not responsible for, nor is Sponsor required to count, in its sole and absolute discretion, late, lost, misdirected, or unlawful entries that are submitted. Use of automated devices or methods to enter the Sweepstakes is prohibited. Limitation of Liability. Sponsor, in its sole discretion, reserves the right to suspend, cancel or modify the Sweepstakes without notice or liability if the integrity of the Sweepstakes is compromised in any manner as determined by Sponsor, or if the Sweepstakes is not capable of being conducted as intended by Sponsor. If the Sweepstakes, or any part of it, is discontinued for any reason, Sponsor, in its sole discretion, may elect to hold a random drawing from among all Eligible Entries received up to the date of discontinuance for any or all of the prizes offered herein. No more than the stated number of prizes will be awarded.  In the event that production, technical, seeding, programming or any other reasons cause more than the stated number of prizes as set forth in these Official Rules to be available and/or claimed, Sponsor reserves the right to award only the stated number of prizes by a random drawing among all legitimate, un-awarded, eligible prize claims. Any and all claims, judgments, and awards shall be limited to actual out-of-pocket costs incurred, including costs associated with entering this Sweepstakes, but in no event shall such claims, judgments, or awards include attorney’s fees. Release and Indemnity. 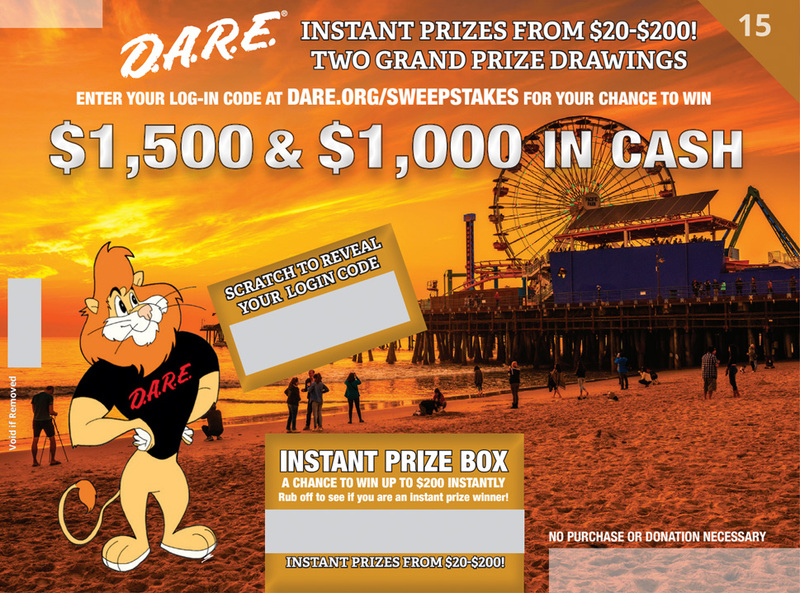 As a Sweepstakes entrant, you agree to release D.A.R.E. America and any parties associated with the development and execution of this Sweepstakes, and each of their respective subsidiaries, affiliates, successors, licensees, and assigns, and their respective officers, directors, and employees (collectively, the “Indemnitees”), from any and all loss, liability, damage, cost, or expense arising out of or in connection with, this Sweepstakes, including, but not limited to, any suspension, modification or cancellation of the Sweepstakes, and/or acceptance or use of any prize or any other part of any prize, including liability for personal injury, damages or loss. Furthermore, by participating in the Sweepstakes, you agree to indemnify, defend and hold harmless Indemnitees, from and against any and all claims, losses, damages, liabilities, and costs and expenses (including reasonable attorneys’ fees) which arise out of any breach of these Official Rules. Indemnitees are not responsible for any malfunction of the Website, or any late, lost, damaged, misdirected, incomplete, illegible, undeliverable, or destroyed entries due to postal service issues, system errors or malfunctions, hardware or software failures of any kind, lost or unavailable network connections, typographical or system/human errors and failures, technical malfunction(s) of any telephone network or lines, cable connections, satellite transmissions, servers or providers, or computer equipment, traffic congestion on the Internet or the Website, or any combination thereof, including other telecommunication, cable, digital or satellite malfunctions, or for theft or destruction, tampering, or unauthorized access to entries and/or entry information which may limit your ability to enter. UNDER NO CIRCUMSTANCES AND UNDER NO LEGAL THEORY, TORT, CONTRACT, OR OTHERWISE, SHALL INDEMNITEES BE LIABLE FOR ANY DAMAGES WHATSOEVER, INCLUDING, BUT NOT LIMITED TO, DIRECT, INDIRECT, INCIDENTAL, PUNITIVE, OR CONSEQUENTIAL DAMAGES, EVEN IF IT HAS BEEN ADVISED OF THE POSSIBILITY OF SUCH DAMAGES OR CLAIMS. Governing Law. Except with respect to the protection and enforcement of the intellectual property rights of Sponsor and its right to seek and/or obtain injunctive or equitable relief, any dispute, claim or controversy arising out of or relating to the Sweepstakes or these Official Rules, including the determination of the scope or applicability of this agreement to arbitrate, shall be determined by arbitration in Los Angeles County, California before one arbitrator. The arbitration shall be administered by JAMS pursuant to JAMS’ Streamlined Arbitration Rules and Procedures. Judgment on any arbitration award may be entered in any court having jurisdiction. This clause shall not preclude parties from seeking provisional remedies in aid of arbitration from a court of appropriate jurisdiction. Except where prohibited, you agree that any and all disputes, claims and causes of action arising out of or connected with the Sweepstakes or any prize awarded shall be resolved individually, without resort to any form of class action, and exclusively by the appropriate court located in Los Angeles, California, without regard to any conflicts of law principles. Winner’s Name. Winner List requests will only be accepted after the end of the Sweepstakes Period and no later than April 6, 2019. For the Winner List, email Mistie.BellRenfro@dare.org. Opt-Out. To be removed from Sponsor’s mailing list, please send your request to D.A.R.E. America Inc., P. O. Box 512090, Los Angeles, CA 90051.